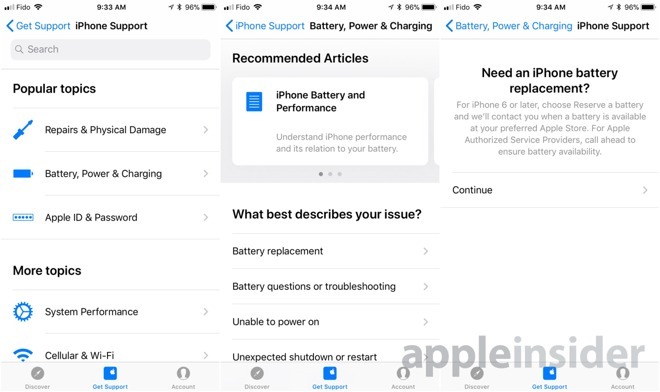 Apple appears to be launching a trial of a iPhone replacement reservation program in Canada, with the app taking names for particular models, and promising to alert users when the battery is available locally. At present, the functionality isn't available on the U.S. version of the app. While untestable at the moment given the mostly backordered status of sought-after batteries, AppleInsider was informed that once the reservation is processed and a battery is available at a local store, the user is informed that the replacement battery will be on hold for seven days before it is released into general stock and the reservation is cancelled. it is unclear at present how long any given battery will be back-ordered. 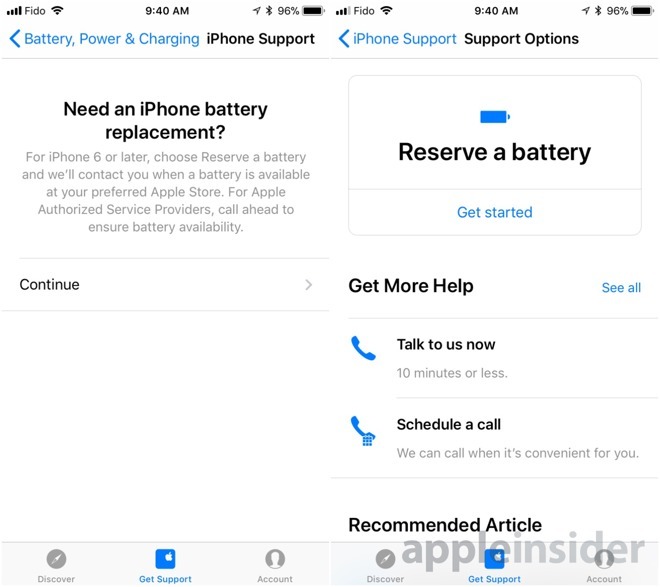 While reports indicate that the iPhone 6 battery stock is low, spot-checks by AppleInsider at some U.S. and Canada locations suggest that there is limited stock still remaining, not necessitating any wait beyond what is needed to make an appointment at a Genius Bar in the first place.